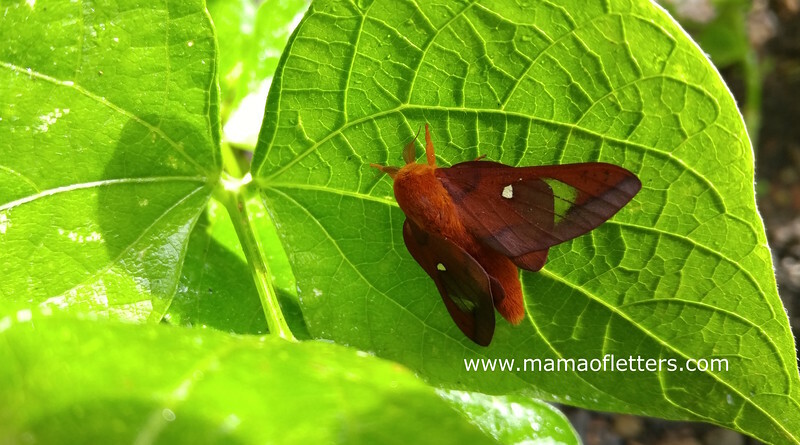 One morning I went out to water our garden, and I found this beauty on the green bean leaves. Curiously, I had also seen this moth on our porch one evening, but the colors were much more muted. I don’t know if this is a slightly different species or the sunlight was making it shine, but I couldn’t get over the colors in it. And it wasn’t until I viewed my photos later that I noticed the wings are translucent! 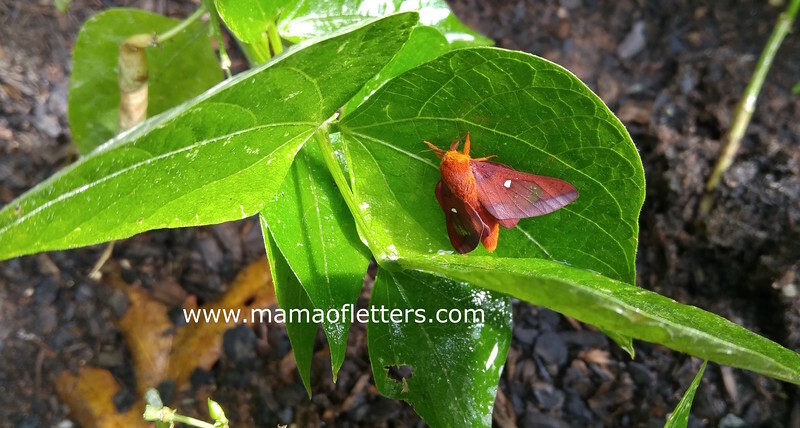 My son became fascinated with moths a while back, and while it’s not what I’d call an active project (that is, he’s not researching information about them or creating any representations anymore), we still get quite excited when we find a moth we’ve never seen before in the yard. We have been lucky enough to find the Polyphemus Moth, Luna Moth, and the Tulip-tree Silkmoth, and I think we’ve seen the Imperial Moth too, but I don’t have a photo of one. We still haven’t seen a Cecropia Moth in the wild, but we’re keeping our fingers crossed! As a little bonus, I want to share this photograph I took on one of my summer morning walks. 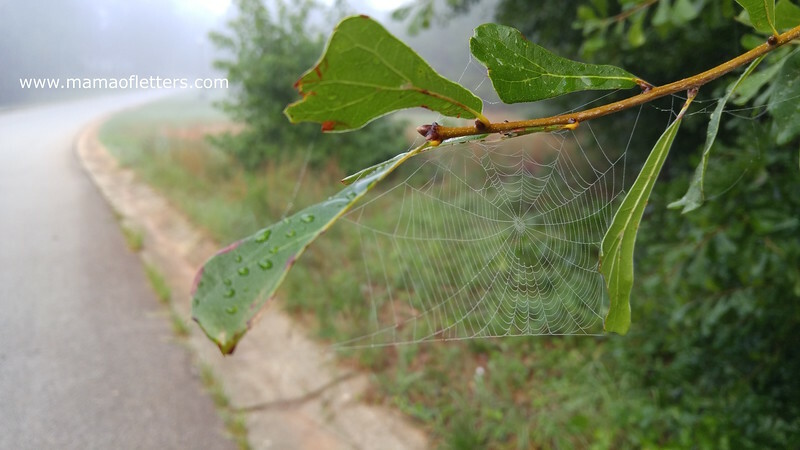 It was a wet and foggy morning because it had stormed the previous day, and the dew made hundreds, maybe thousands, of spider webs visible in the trees. I marveled at how many there were, and luckily I had my phone with me, so I took a photo of this one, which hung on a branch by the road. Spider webs are amazing. I hope you’ve enjoyed making some nature discoveries lately too, and I hope you’re staying cool throughout this brutal summer! Beautiful! The translucent wing photo is amazing! I love your nature photos! Very cool moth.